Home » Blog » Be Different Or Be … Forgotten! Be Different Or Be … Forgotten! 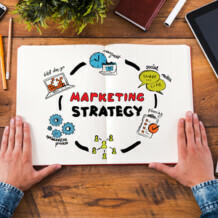 Your Unique Marketing Strategy is about how you are different and how you can use that difference to be completely unique and succeed far beyond your current levels, while basing your marketing on four proven marketing concepts. (Psst… Check out the links in this articles and see below for how to get your copy of Your Unique Advantage Exercise to kick start your own Unique Marketing Strategy). Proven #1: If you deal one on one with clients in any product or service industry, Networking is essential – in person and on line. Period. Proven #2: To succeed, you must develop at least one Ideal Client Profile for your business. Focus on that in all your marketing, even if you also accept other types of clients. The first allows you to go deep in your marketing and become a genius in the eyes of your audience. The latter allows you to keep an eye on what’s going on in other sectors and to adapt the best of your products and services to their needs. My Primary Example: With a family business background of my own, my primary Ideal Client Profile is owner-operated family businesses or partnerships. Some defining characteristics include: in business for five years or more; having survived at least one marketing turndown; a mix of staff and contractors; service industry rather than consumables (often also includes manufacturing/production); the owner/CEO/Managing Partner has not yet delegated at an executive or senior management level (implies a potential huge leap in growth when the owner learns how to confidently delegate and free up time to work more ON the business rather than IN the business). Proven #3: Sales is a numbers game. No matter who you are, you will have to speak with a lot of people to acquire each new client. The process will include going from “cold” (never having met them before) to “warm” (having had a favourable introduction), to “hot” (their circumstances are right for them to do business with you), to “client” (ready to cut you a cheque). The more effective your sales process, the quicker you will pass through these cycles and cut down on the time and money it takes to acquire a client. Proven #4: Education-based marketing builds credibility and makes it easier to attract and keep good clients. This includes such activities as writing and publishing articles; making group presentations; posting to social media; producing eBooks, YouTube videos and audio CDs; and being ready with tips and ideas that help improve your clients’ lives and businesses. Any combination of these will demonstrate your expertise and your willingness to share with and help others to achieve success. A: Your background, talents, skills, experience, values, personality, relationships, and much more. A key focus of my marketing strategy is Speaking Engagements as is that of many successful entrepreneurs. All other components of my strategy position me to be invited to speak. 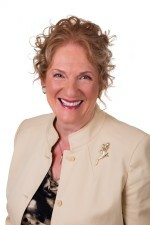 My follow up procedures are designed to add value and invite audience participants to accept my gift of a valuable eBook, receive marketing and business tips through my newsletter, book an initial meeting, become advocates, and eventually become clients and referral buddies. My Example: I was always a redhead (my nickname was “Carrot Top” as a child) so I stood out in appearance from others around me. I was also curious and gregarious and as a result, I was easy to teach, and often asked to perform for audiences – to sing or play the piano in church and at recitals, to perform in school concerts and plays, to participate in competitions including field day sports and spelling bees. The confidence this helped to develop in me has made it a real joy for me to speak and teach from the front of the room. As a result, my experience as an adult includes creating and facilitating hundreds of workshops, 8 world conferences, and countless speaking engagements including three times on stage at Annual Meetings of the Million Dollar Round Table. While this may not be your experience, developing your speaking skills will be a confidence-builder and a valuable part of your overall strategy. Click Here to request a copy of The Unique Advantage Exercise to give you a kick start on developing Your Own Unique Marketing Strategy. Helping you generate positive cash flow faster, more steadily and more profitably than you can on your own.